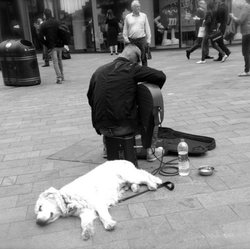 Walk down any high street and you’ll probably hear the sounds of music. Drummers, singers, guitarists, even dancers perform for the passers-by. London is a lively city with a vibrant arts culture. However, it is not so easy to just pick a corner and start singing. With stringent laws now in every borough, buskers are finding themselves on the wrong side of the law. I hit the pavement to find out why London’s street performers are under threat.